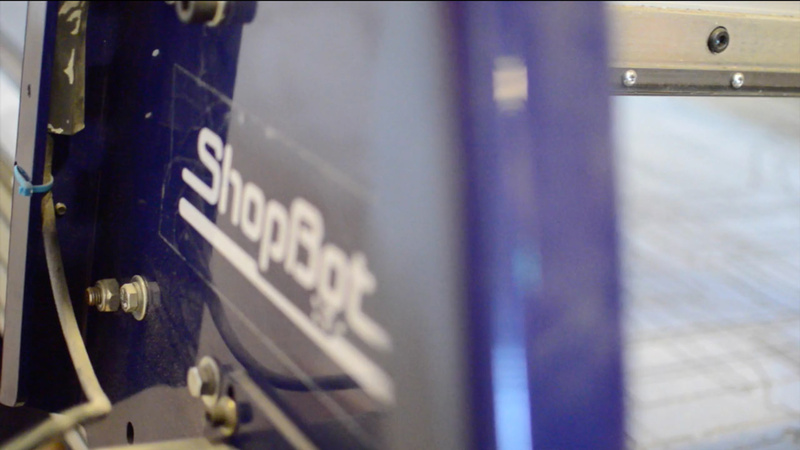 The ShopBot PRS standard is a 3-axis milling machine ideal for making big things. From furniture to large scale models to large carvings and many more applications. A ShopBot is an amazing do-all tool for precisely cutting, carving, drilling or machining all kinds of things from all kinds of materials. A ShopBot is like a large plotter that moves pens around the surface (in X and Y axes) to create a drawing. Only a ShopBot moves a cutter around a big table (X and Y axes) and moves it up and down as well (Z axis) allowing it to make 3D movements and cut all sorts of shapes. Working area: 2440 x 1220mm | 96" x 48"
Mechanical Resolution: 0.015mm | 0.0006"
Position Accuracy: +- 0.127mm | 0.005"